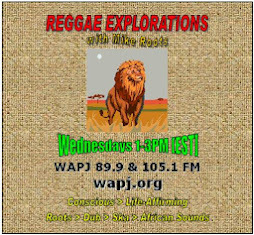 4- Aslan / The Israelites / Roots / JumpUp! 10- Seed Grow / Asherman Meets the Dub Street Rockers / Zion Ready / JumpUp! 3- Roots / The Israelites / Roots / JumpUp! 22- Freedom Tree / Ben Okafor and Garth Hewitt / Blood Brothers / What?